You are ready to finally meet the most powerful speaker within you. You’ve spoken before and enjoyed the experience. The kind of speaking you want to do now is different, though. You want to share a message that lives powerfully in your heart and mind. You want to finally take a stand for what matters most to you – and inspire audiences through that stand. You want an experienced partner to help you craft the talk that you know lives inside of you. You want guidance and support as you step into the most authentic and powerful version of yourself. A trusted guide to help you decide which speaking opportunities are best. You want a fast-track to stepping into leadership as a speaker. We’ll align your message with your business and leadership goals. If appropriate, we’ll work collaboratively with your PR and marketing teams to maximize your opportunities for success. We are a team in creating a speaking strategy that supports your deepest goals as a speaker and leader. This complete solution approach allows us to partner completely in crafting and helping you deliver the talk that you know will change lives and allow you to make the difference you want to make as a speaker and thought leader. This is the message you want to shout from the rooftops because it includes your own story of transformation, your hard-earned lessons learned and your expertise for their benefit. Your Rooftop Message Talk VIP Day Program is available includes a VIP Day Intensive plus follow-up support to ensure you feel confident and excited about delivering this talk on as many stages as possible. This is the best option if you want to get your talk crafted in a short period of time, and you are highly motivated to take action going forward. This rich personal retreat experience is designed to transform your speaking – and your sense of yourself as a powerful thought leader – in a matter of days or weeks. This is your fastest path. If you are traveling in for your retreat, you will arrive in Marin County, California the day before your VIP Day to check into your lovely suite, which will also be the location of our VIP day together. * Ideally you arrive early enough to enjoy some quiet time in your beautiful space and ease yourself into deep dive retreat mode. The next morning we meet and transform your suite into our work space. I bring all of the supplies we need for brainstorming, crafting and creative deep diving. We spend the day turning your message into a captivating, inspiring talk structure that you will use as the basis of your thought leadership in the months to come. You will finally see that message you’ve felt burning inside you come to life and be ready to serve others in the way you’ve dreamed. Our work is not over after your retreat, but we have a rich and powerful treasure chest of material for your talk and your outline will be virtually complete. We refine this message and get you ready for the stage in the week or two after your retreat, setting you up for beautiful success for your next transformational speaking opportunity. We take breaks and walks as we explore the corners of your experience and expertise. You will have quiet time between sessions of deep work. A healthy, energy-enhancing breakfast and lunch will be provided for your VIP day. Our goal is to nurture you and your message while creating a lovingly ambitious plan for your thought leadership in the months ahead. You will have the evening and next morning to rest and rejuvenate. Spa treatments are available nearby, if you choose to add one of those to your retreat time. Beautiful walks in nature and boutique shops and a sweet downtown area within a short distance for your enjoyment. You will leave your retreat both nourished and the best kind of on fire – ready to finally step into the thought leadership speaker role you know is meant for you. Does this sound exciting to you? Let’s chat! As soon as you have decided that you are ready to go all in as a transformational thought leadership speaker, fill out this Let’s Get Started Questionnaire. Our work together begins as you answer these deep dive questions. Schedule a Shall We Work Together? call on my calendar (click here for the link). During this call we will decide whether working together is the most awesome solution for you. My goal is to do anything I can to get you the right support for your goals. If I’m not the right person, I will share with you any resources or referrals I can to meet that goal. 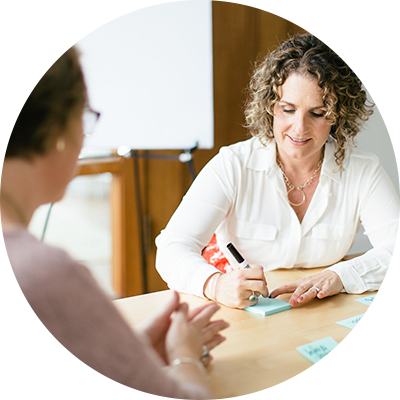 Schedule your VIP Day and your follow up coaching sessions – If we determine during your strategy call that working together is the best solution for you, we will schedule your first coaching session or VIP Day, including making plans for location and travel (if you choose in-person support), as well as establish clear and exciting outcomes for our work together. Celebrate! You have just given yourself the kind of high-level, full support to support you in making the most beautiful impact you can imagine in this coming year! If you know that you are meant to be serving powerfully with a deeper message as a speaker, and you want to step into your leadership role quickly with full support, this is for you.